HA ESPRESSO PARERE POSITIVO DI VALUTAZIONE DI IMPATTO AMBIENTALE PER LA COSTRUZIONE DI UN ENNESIMA NUOVA DISCARICA NELLA VALLE GALERIA, A 170 MT. 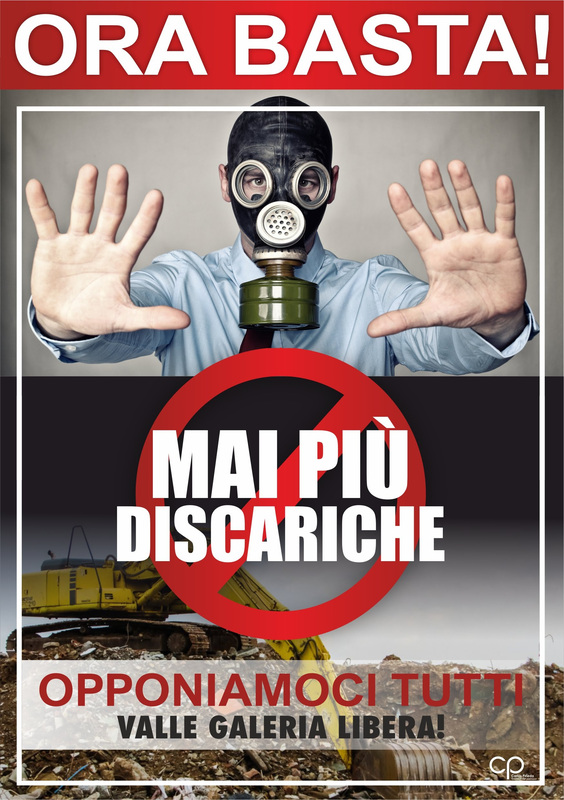 DAL SITO SIC IT6030025 MACCHIA GRANDE DI PONTE GALERIA, OASI PROTETTA ALL’INTERNO DELLA RISERVA NATURALE STATALE DEL LITORALE ROMANO. 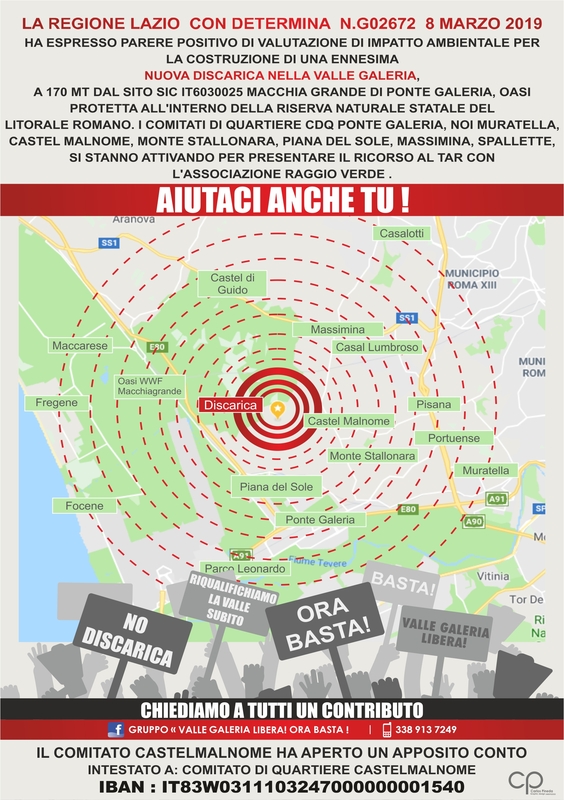 I COMITATI DI QUARTIERE CDQ PONTE GALERIA, NOI MURATELLA, CASTEL MALNOME, MONTE STALLONARA, PIANA DEL SOLE, MASSIMINA, SPALLETTE, SI STANNO ATTIVANDO PER PRESENTARE IL RICORSO AL TAR CON L’ASSOCIAZIONE RAGGIO VERDE.